CHICAGO (September 6, 2018)–Rep. Luis V. Gutiérrez (IL-4) endorsed independent Democratic Cook County Commissioner candidate Abdelnasser Rashid on Thursday over Republican incumbent Commissioner Sean Morrison in the Southwest suburban 17th District. 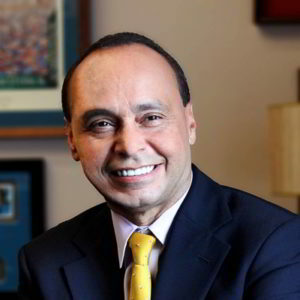 Rep. Gutiérrez was referring to the recent report that Morrison asked a Cook County judge to allow his employee–a known child molester–to travel out of state for work. Shortly thereafter, the man was caught in a sting operation for another attempted solicitation of a minor. 52 years ago, Rashid’s parents traveled to America from a rural village where educational opportunities were scarce, especially for women. They were among the first in their village to send their daughters to college. Rashid grew up helping his mother run a booth at the local flea market and his father operate a small retail business in Chicago. He went on to earn his degree from Harvard.